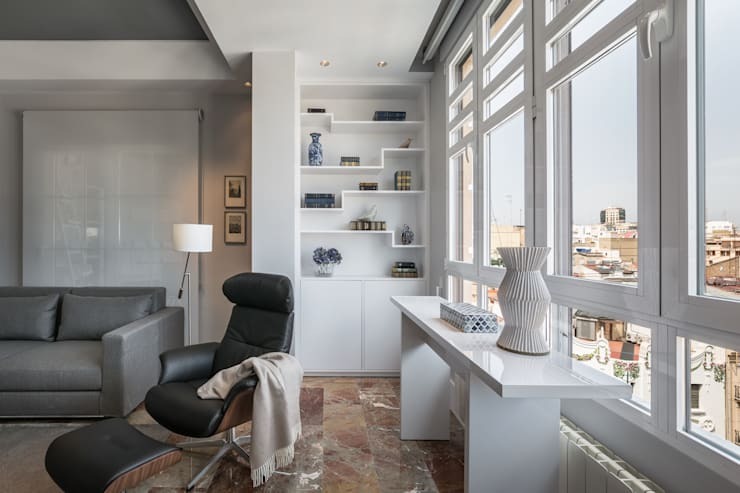 Courtesy the shortage of available living area in modern houses and urban apartments, making the best use of every square inch of a space has become such integral part of planning for the interiors. This is such a tricky business too because you fear for clutter in trying to make appropriate use of every corner. But since when did the designers feel hemmed in by such challenges? Eliminating any sense of void is something we practice every day of our lives though often without paying any attention to it. In fact, to borrow Antonio Porchia’s words, “We become aware of the void as we fill it.” Empty corners of a room is a kind of void too, something that when filled in skilfully gives such satisfying results. Be prepared to make your left brain work overtime. Yes, you will unearth a creative side in you that you may not have been in touch with lately. You may need to invest in a few articles, furniture etc custom made for the purpose. You may use your crafting skills for that purpose too. 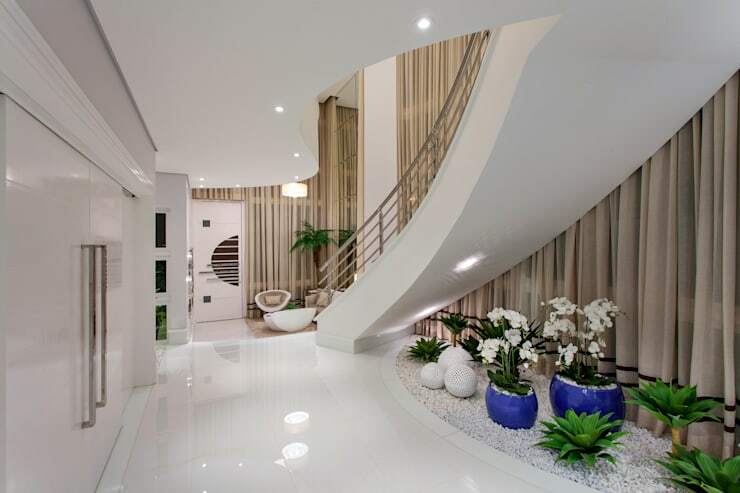 Be rest assured it will be most worthy remodelling experience for you to have in a long time. Just to get you started we are sharing a few plans of making best use of the empty corners of your home here. For a very long time you have yearned for a green patch of land where you can take time out to plant flowers and fruits of your choice. Don’t be sad if that dream of yours still seems some distance away from being fulfilled. Instead, use that empty corner of your home to create an interior sanctuary of sort. If the space is very much on the shorter side use a combination of vertical landscaping and potted plants to invite greenery within the four walls of your room. Use appropriate lighting fixtures, small sculptures and tiny indoor fountain to create a lush green garden in your house or apartment itself. Use the empty corner to set up an intimate chatting zone where you can sit have a talk with the closest friends of yours while others keep the formal living room occupied. It is a tad old fashioned but nevertheless useful practice of using a corner of your bedroom to create a cosy chatting zone. Such a place as this allows you to have some heart to heart talk with that special someone in the privacy of your own bedroom. Even silently sitting together with a cup of tea and see the world go by feels special in a suitably decorated chatting zone like this. Keep couple of chairs or stools suitable with the surrounding, in shape and colour, and a small coffee table. A stylish floor or table lamp would be best suited for a place like this. Place an area rug that that exudes that same cosy feeling but in an understated manner. Reclaim this empty space to create a hobby area for yourself where you may practice music, read a book, paint or put a variety of your other skills to good use in peace. 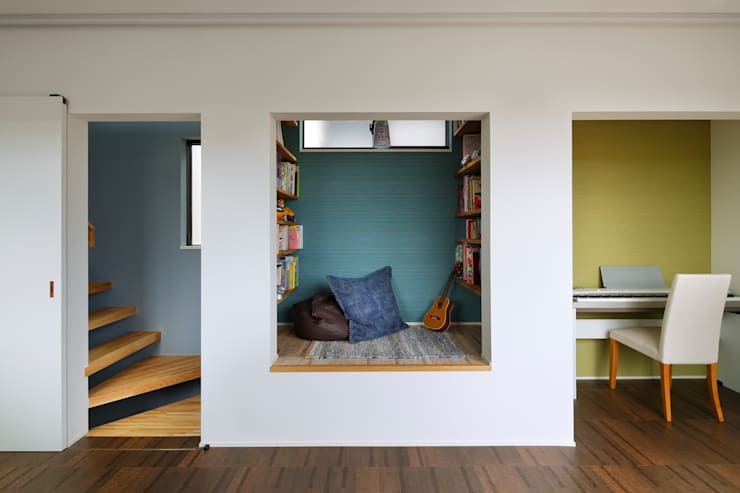 See how cunningly Mukoyama Architects modified the landing of the staircase to create a hobby room in this house. Spread a cosy rug on the floor, surround yourself with some snug cushions or have a cosy arm chair, surround yourself with items necessary for practicing your craft. Make sure you have complete privacy to hone your skills for yourself. Light up the area properly to ensure you have a cheerful and deceptively roomy space. One of the many shortcomings of small living areas is lack of sufficient space for storing all household items, clothes, shoes, books, stationery and so on. Build some cabinets, shelves or bookcases that appropriately answer your concerns for adequate storage. Besides being an item of great usability, this can also be made to serve a decorative purpose. Tactfully scatter some simple decorative features onto the various shelves or ledges of a bookcase. If you have built covered storage units, then think of installing mirrors on the doors. This will help to make your room look expansive too. You can even beautify these by stylishly painting them in complementary colours. 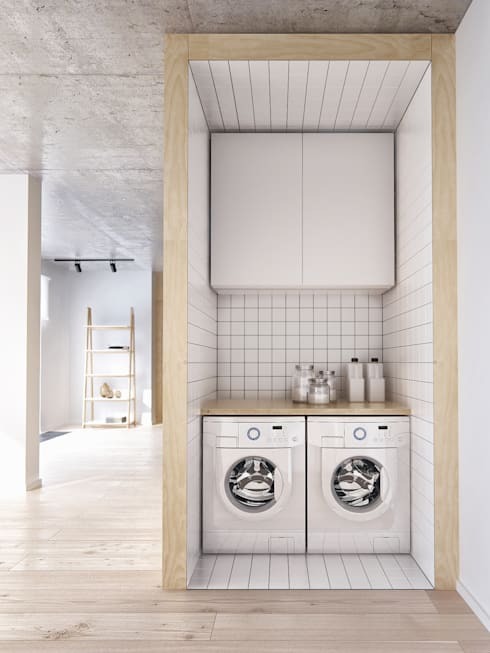 We may no longer have the entire basement for ourselves to build a laundry, but you can make use of that empty corner of your house to build a laundry room. Have proper electrical fittings, plug points and sufficient light. Modern washing machines are nimble enough which helps to install them in a narrow place. You may need to place suitable bath rugs for safety. But you will have a fully functional laundry room almost effortlessly. This way you will free up some space in your kitchen too if you have previously tucked your washing machine there. Space permitting, keep a lightweight iron board so that you can complete that task too in here. Working from home is now a regular affair for many. 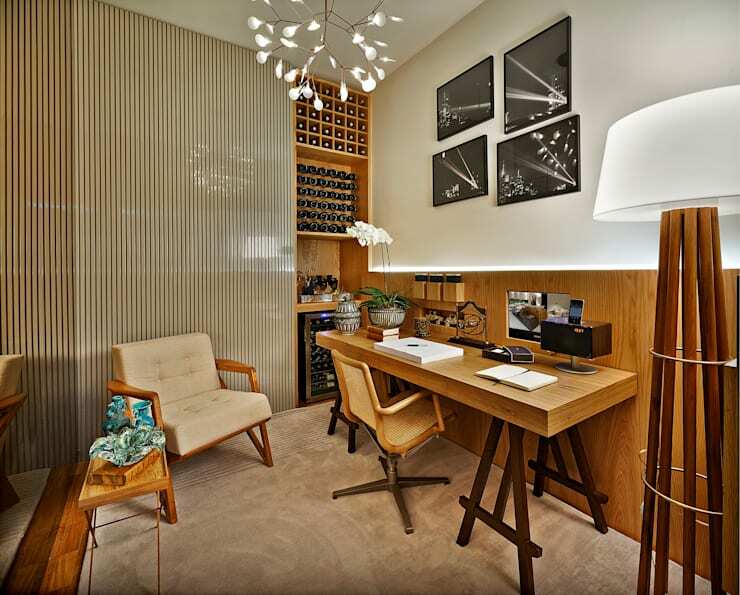 Setting up a small but workable home office is another way of making best use of that empty corner of your apartment. Decorate the area with such furniture that would not result in any cramped feeling but would create a stylish ambience. Remember, you are planning to spend long hours at a stretch here. So try to make it as comfortable as possible. For small areas, wall mounted task lighting with adjustable arm is the best possible solution. 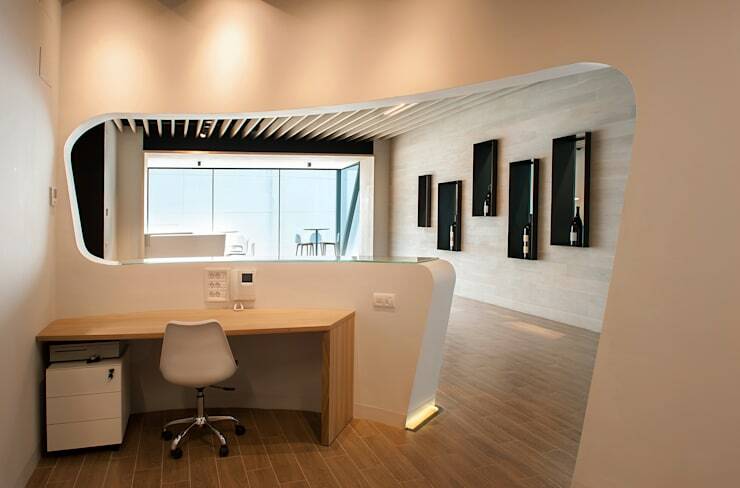 Depending on the shape and size of your home office you can use ceiling mounted lighting fixtures and table lamp as well. Make sure light is not too glaring and does not reflect on your computer screen. Minimal storage or shelves will be necessary to arrange important files and stationery. Keep a painting, photograph or a vase full of fresh flowers to look at from time to time to rest your tired eyes. If you are using your attic or loft space to build a home office you will find these tips immensely useful. From serious work to some fun and frolic – use that empty corner of yours as a pantry. Invest in a domestic espresso machine or simple tea and coffee maker. Keep some ready snacks, healthy dry fruits and nuts to pamper the guests. Wine aficionados and beer lovers may consider setting up a minibar and build neat collection of their favourite beverages. Provided you have sufficient space for the same, you can create a full fledged entertainment area here. Add some funky lighting, colourful rug, benches or stools upholstered in bright colour. Installing in a good quality but minimal music system will ensure transforming an empty corner into a party lovers’ haven. While trying such experimentations you are only limited by your imagination. So be adventurous. Try to foresee or make some basic sketches of how the space would look post decoration and unleash that creative side of yours.